GM has recently filed an application to register the word ‘Envista’ as a trademark with the United States Patent and Trademark Office (USPTO). Under the Goods and Services section i,t states that the trademark refers to motor land vehicles, namely, automobiles. GM has a vast range of automobile brands under its control but if we take a look at its naming policies, we can narrow down which of these brands it may be referring to. 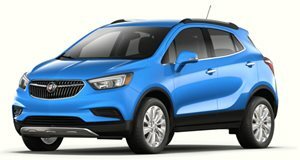 First off, seeing as most of GM’s crossovers start with the letters ‘En’, it might well be a new name for an upcoming model in Buick’s crossover offerings. GM Authority has done some digging regarding this and suggests that it could be for an entirely new model. According to them, the upcoming three-row Buick crossover is most likely to be called the Envoy while the all-electric compact crossover based on the Cadillac XT4 will be named the Enspire. One suggestion is that it could be used on an upcoming concept vehicle as it bears some similarity to the 2016 Avista concept car. But seeing as GM’s concept cars tend to have more fanciful names such as Avenir and Ciel, we are more inclined to believe that it signals the introduction of a new crossover intended for production status. At this point, all we have is the trademark filing to go on and GM - like many other auto manufacturers - may just be securing the Envista name for use at some point in the future. It may even be used on a model that may not even be offered in the States. 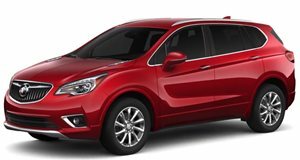 Either way, we will keep an eye out on any upcoming product announcements by GM to get a clearer picture of what the Envista name may end up being applied to.